. 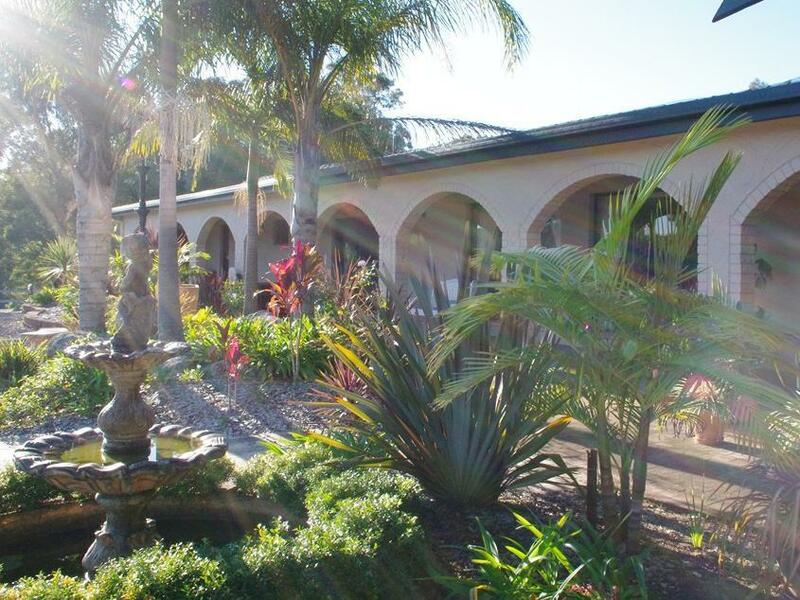 كما يقدم Batemans Bay Manor - Bed and Breakfast الكثير من الخدمات لإغناء رحلتك في خليج باتيمانس. هذه بعض الخدمات الموجودة في هذا الفندق: واي فاي مجاني في جميع الغرف, واي فاي في المناطق العامة, صف السيارات, جولات. لقد جهزت هذه الإقامة الفندقية بعناية فائقة لتوفر مستوى عالي من الراحة. في بعض الغرف يجد النزيل تلفزيون بشاشة مسطحة, اتصال لاسلكي بالإنترنت, اتصال لاسلكي بشبكة الإنترنت (مجاني), غرف لغير المدخنين, مكيف هواء. سواء كنت من محبي الرياضة أو كنت تتطلع لتفريغ عناء نهار صعب، ستجد خدمات ذات مستوى عالي بانتظارك كمثل حوض استحمام ساخن, ساونا, حمام سباحة داخلي, ملعب تنس, حديقة. 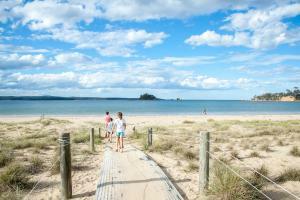 استمتع بخدمات لا يعلى عليها وعنوان ذو اعتبار في Batemans Bay Manor - Bed and Breakfast . Rhonda and Claudio were wonderful hosts. Rhonda is full of information and good advice. Claudio makes a "mean" breakfast. The bed was perfect as were the pillows. The view in to the park allowed us to see kangaroos grazing in the morning and evening. Rhonda told us this does not always occur. Lucky us! Very friendly and helpful host and hostess. Secluded quiet location about 2 km out of town. Tasty cooked to order breakfast with lots of selection. 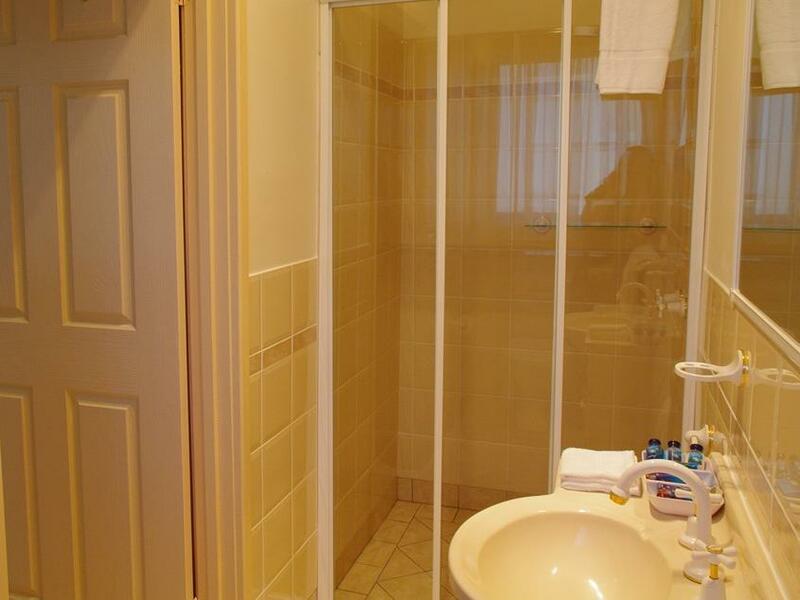 Only criticism is that bathroom, though private, was not connected to our room. Very comfortable, clean and well appointed accommodations. We were provided with excellent suggestions on what to do and where to dine. We also loved playing with the dogs and petting the cats. It is very good place for self-driving and prefer home feeling people. Our hosts were fantastic. Highly recommend this BnB for families or single travelers. From the start we were made very welcome from our hosts and their two lovely dogs.This b & b has everything you require from an indoor swimming pool to a great breakfast to start the day. Our bedroom was extremely clean and comfortable and above all very quiet. 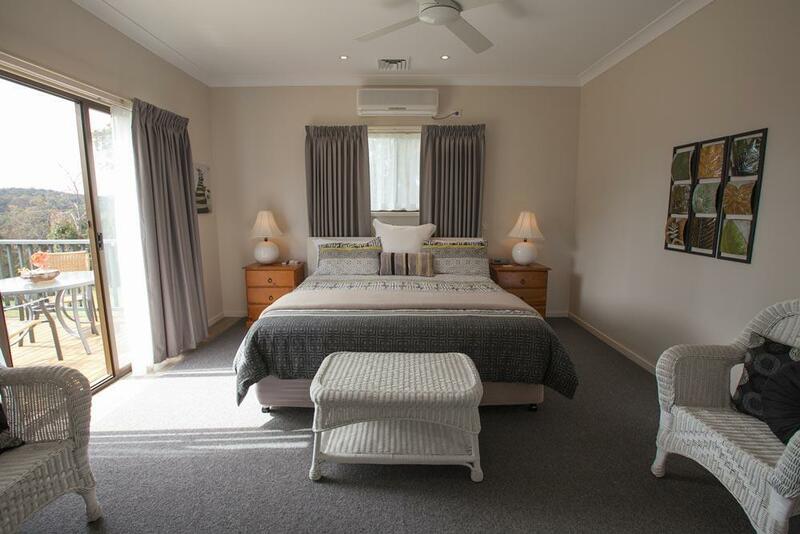 We fully recommend this b & b to anyone visiting Batemans Bay. Excellent accommodation and facilities, including indoor pool and spa, billiard table, spacious lounges etc. Very good location just north of the bridge into Batemans. Superb hosts with Rhonda and Claudio very caring and attending to every need. Wonderful breakfasts with excellent variety, presentation and quality. Can't forget the friendly dogs to add a further touch of home. For us, the only place to stay when next in the area. Very nice staff but a bit expensive as needed to add $80 for the 2 kids...Location is out up the hill and need to drive few minutes if wish to go to the restaurants or but something. 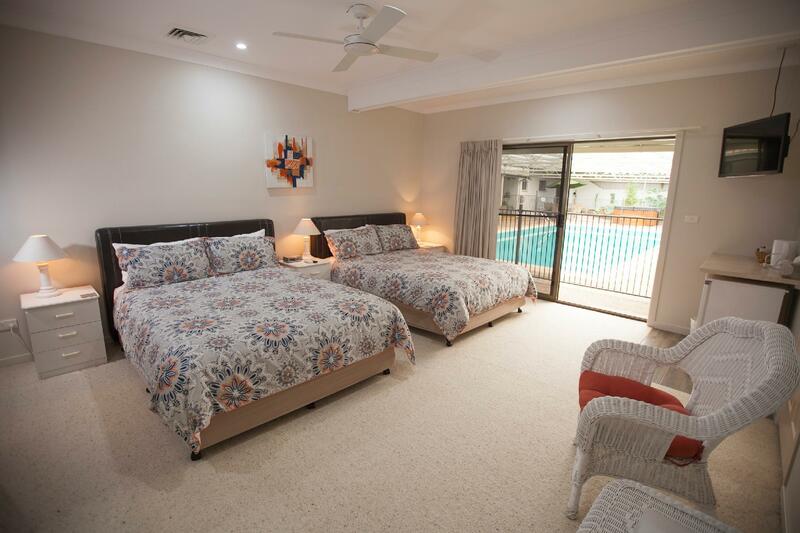 Very nice spa and swimming pool which is the highlight but be aware that the room is facing towards the covered swimming pool area so there is not much fresh air coming inside the room. Very high quality with great service and a great atmosphere. The dogs and cats were great. The hosts are very friendly and nice. The dogs and cats are very cutes and friendly too....is a very friendly and cosy environment. Rooms are very clean and the breakfast is excellent. The host did not compromised quality. Love our stay is a pity is only a night...we will be back. Excellent. Felt like home not just a hotel. The room is tastfully furnished with style and offers all the extras.The owners provide exceptional service and warmly attend to all needs. We got a hearty and tasty breakfast. We were greeted with a warm welcome and all the information we needed. The room was comfortable and beautifully furnished and lacked nothing. There was an ample selection at breakfast and the hot course was tastefully prepared and served. Service is really good and provided with passion. Very friendly & caring staff. Personal service. Great breakfast. It was a pleasant and good stay. Good value for money, but the location is not the best, beeing located close to a busy main road where cars will be coming and going all the time. This B&B is defenetely the most relaxing, beautiful B&B I've ever been. Rhonda and Claudio are both lovely, smiling and helpfull, and you can be sure they do their best to make your stay relaxing. THe breaksfast is absolutly gorgeous, with the cook breky and the more than amazing MUFFINS! yyuuuumm ! 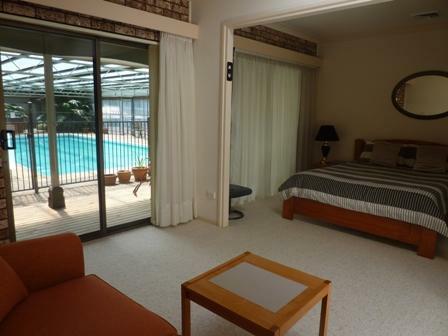 The room we had was spacious, clean and pretty, with a direct door to the swimmingpool area. You still have to "cross the coridor" to go to your private bathroom, but it's literraly 3 steps away from the room. 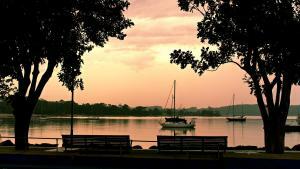 A place I highly recommand for a lovely gateway with a hot or warm weather. I'll come back for sure ! Thanks to both Rhonda and Claudio.